Biosignature Method: Lose Fat, Look Amazing! Find out how you can improve all areas of your life with Biosignature Analysis. Developed by world-renowned strength coach Charles Poliquin, the Biosignature method is a proven technique based on scientific evidence and over 30 years as an international Olympic and national level strength coach. Please check out the Imagine Fitness blog as I’ve linked through to many of the articles that pertain to Charles Poliquin and the Biosignature principles. Your Unique Hormonal Profile: Your Blueprint for Fat Loss! This method unveils how where your bodyfat is stored indicates your unique hormonal profile and more importantly, how to get rid of that fat! Having worked with hundreds of clients over the past year I have seen 100% of people who try any aspect of Biosignature see the corresponding results. Biosignature is Non-Invasive, Quick and Accurate! Using 12 specific sites, your Biosignature Practitioner will determine your current levels of bodyfat and lean muscle. For highest degrees of accuracy, measurements should be done at the same time on the same day of the week. Results are different on a Monday versus a Friday, we suggest Monday to help you avoid over-indulging on the weekend. 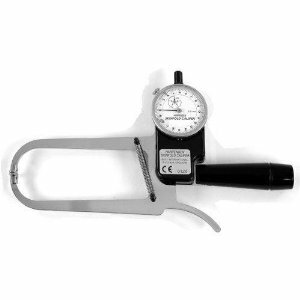 We use Harpenden Calipers, shown here, which are a medical instrument to ensure maximum accuracy. Tracking these sites bi-weekly or monthly over the course of 12 weeks we can dramatically improve not only your trouble spots but also your exact levels of bodyfat and your hormonal profile. 4 measurements to determine your body composition and hormonal profile. Supplement recommendations according to your Biosignature results (optional, additional costs will apply). Accountability in tracking your results over a 12 week period, program may be shortened if faster results are desired. Lifestyle Factors ALL make a Difference! The Biosignature approach addresses many lifestyle factors including exercise, diet, sleep, stress and a targeted supplement program that will take the guesswork out of losing bodyfat. By incorporating these simple changes you will lose bodyfat and gain lean muscle, which will give you a leaner, tighter, sexier physique. You will also feel happier and more energetic by balancing your hormones and addressing your specific nutrition and training needs. You have nothing to lose but bodyfat!